At a time when the American economy was creating wealth prolifically, and all of it was going to a tiny minority who didn't need it, a populist from Louisiana stood up and told the truth. Working Americans were being robbed. The productive economy was being drained not for anything that anyone needed or wanted, but just to feed the desire of accumulation of a few Rockefellers and Morgans and Carnegies. He was enormously popular. He was about to run for president, and he was shot and killed, under circumstances that remain murky to this day. Three decades later, there was a wave of assassinations of American progressives. JFK, RFK, MLK, Malcolm, Lennon, JFK Jr, Wellstone -- all these men were charismatic progressives. Less war, more sharing of the wealth. None of their deaths has been convincingly explained, and for some of them, the stories that came out of official accounts are laughably full of contradictions and impossibilities. These progressives give us a hint of what American politics would look like if the people's voice were allowed to carry the day. We can restore democracy to America. We will restore democracy to America, and it will change the face of our country and our planet. 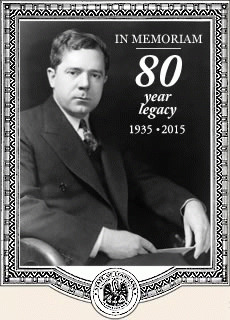 Huey Long would have been 125 years old today. They can't shoot us all.